(SPOT.ph) Two days after President Rodrigo Duterte’s first State of the Nation Address, Sen. Leila de Lima revealed that she actually wasn’t expecting the President to personally approach her and shake her hand at the assembly. “I was surprised. 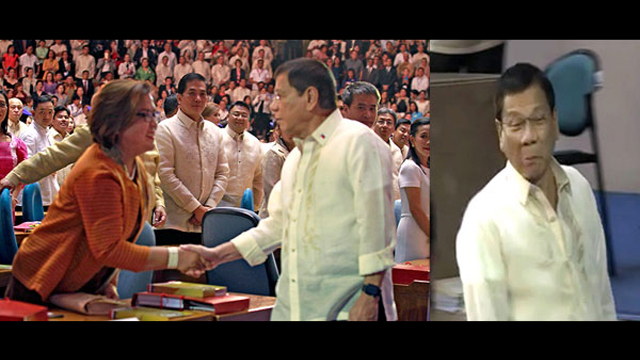 He didn’t say anything, he just looked at me straight in the eye and with a little smile and so I smiled and I could only say ‘Hi sir’,” De Lima told the Philippine Star. “I took it positively, in the sense that it could be a warm, friendly gesture, sort of an icebreaker. He tried to dispel some notion that we are mortal enemies,” she added. 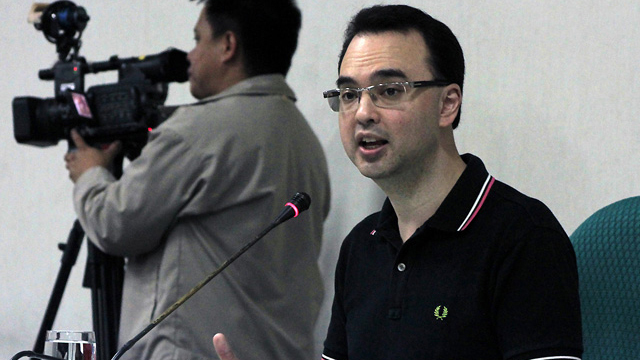 The former Commission on Human Rights chair and justice secretary has repeatedly criticized Duterte’s public statements about extrajudicial killings. Most recently, De Lima asked the Senate to investigate the rampant killings under the new administration. De Lima told GMA News that she sees the president as an open-minded individual who is willing to agree to disagree on their issues. “By that gesture, he was able to show also na hindi niya ako pine-personal kahit na hindi kami nagkakasundo sa ilang mga seryosong bagay,” she said. 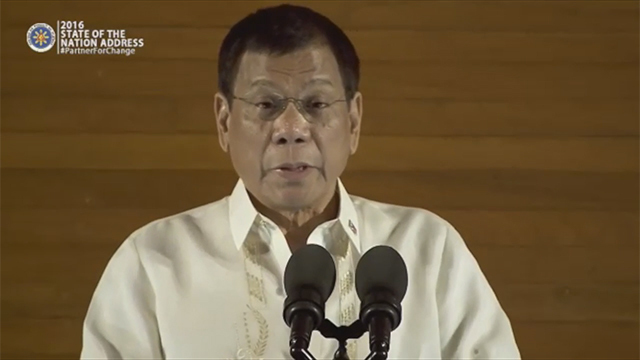 During his first State of the Nation Address (SONA), Duterte warned human rights advocates not to use human rights as a shield to protect criminals whose actions destroy the country.